If you open SQL Server Management Studio, it will ask you provide the SQL Server Instance Name. 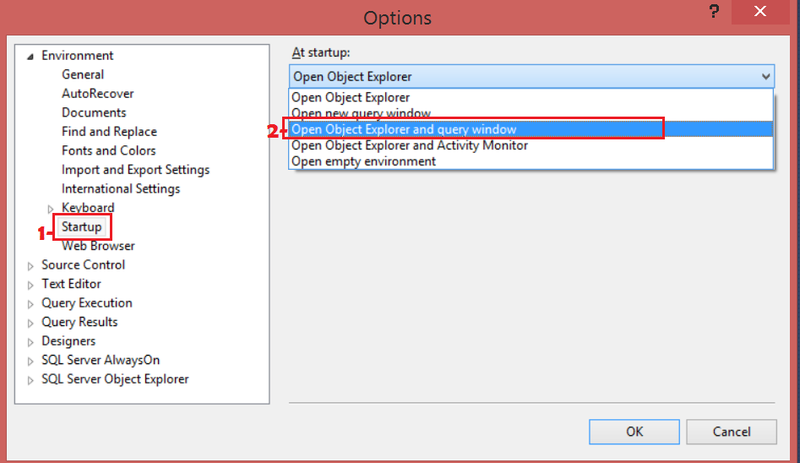 Once you do that, It opens Object Explorer. You would like to open Object Explorer and New Query window on startup. SQL Server Management Studio(SSMS) provide us different options for startup. Let's make some changes for Startup options. 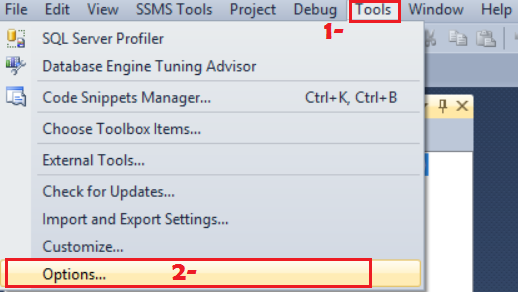 Open SQL Server Management Studio and go to Tools and then Options as shown below. Under the Keyboard, go to Startup and then make changes as shown below. You can choose according to what works best for you. You have to close the SSMS and reopen to implement changes you just made. Next time when you will open your SSMS, it will open Object Explorer and Query window for you on startup.